The way it's talked about these days you'd think it was a bad word. For people with gluten intolerance though, it really is something to be avoided. The symptoms that go along with it can range from just feeling a little tired, to digestion-related concerns that many of us have probably heard about. Many of the common symptoms are digestion-related, which many are familiar with, but there are some other symptoms which aren't linked to your digestive system as well. Let's take a look at some of these symptoms, and then you can determine if you need to see a digestive health naturopathic doctor to help manage them. When most people think of gluten intolerance, they probably think of celiac disease. 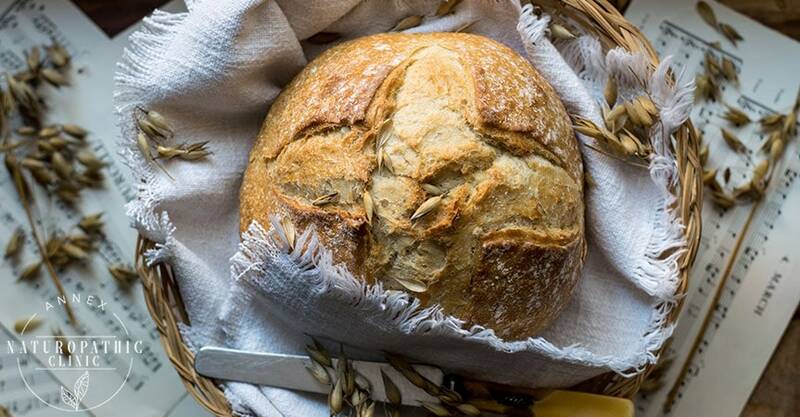 Celiac disease is an autoimmune condition that constitutes adverse reactions to gluten, which is found in food containing wheat, barley and rye. This means that these substances cause the body to attack itself, viewing its own normal, healthy cells as foreign invaders. This condition is found in about 1% of the population, but there's an even larger number of people who have gluten sensitivity. This means that there could be up to 13% of the population who don't have celiac disease, but for whom gluten is still an issue. Many of the symptoms of gluten intolerance have nothing to do with the digestive system. Do you have symptoms you can't explain? Could they be related to your diet, perhaps caused by a gluten sensitivity? Many of the symptoms of gluten intolerance are related to the digestive system. Bloating is when your belly feels full and swollen, especially after a meal or foods that your body can't process properly. This is one of the most common issues for those who have gluten sensitivity. Constipation and diarrhea are also common issues for those who are sensitive to gluten. Inflammation in the gut lining means the body may have trouble absorbing nutrients. This in turn leads to discomfort, diarrhea, and constipation. In addition to digestion related symptoms, there are many that are unrelated to the gut or stomach. There are many causes for headaches. Alcohol, lack of sleep, stress and poor posture can all be culprits, but so can eating foods to which you're intolerant. A 2013 study in the journal Headache showed a link between an increased prevalence of headaches in patients with celiac disease and gluten intolerance when compared to a control group. If you're experiencing unexplained headaches, consider that the cause might be gluten. Tired all the time, but can't figure out why? Being prone to fatigue may be a symptom of gluten intolerance, as shown in a study in the journal Digestive Diseases and Sciences in 2003. This may be partially because of an inability to absorb iron, as this study oniron deficiency anemia and gluten intolerance from 2011 shows. 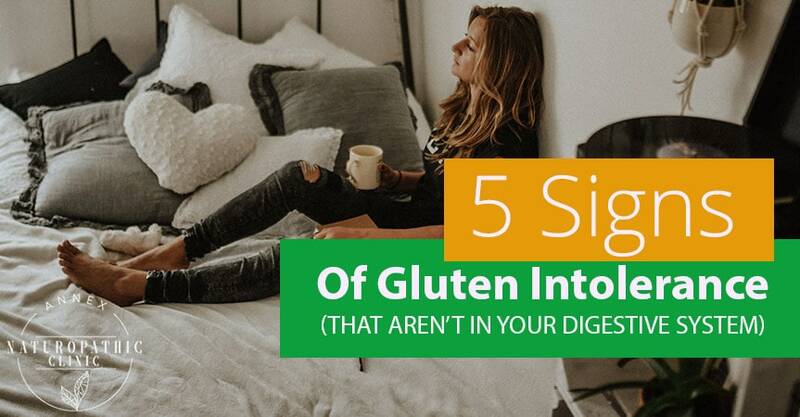 Approximately 60%-82% of those individuals with gluten-intolerance are prone to tiredness and fatigue, so if you fall into this group, know you're not alone. Constantly worrying about every little thing, mind racing and restless? Or maybe you're feeling depressed and detached. Having a hard time getting through the day? It may actually be linked to your diet, and a side-effect of gluten intolerance. A study in the Journal of Hepatogastroenterology from 1996 showed a higher prevalence of anxiety and depression in patients with celiac disease than the control group. If you're feeling sad or anxious and can't figure out why, try cutting out gluten and pay attention to the effects it has on your mood. It might be a lotion, something in your laundry soap or too much sun. But if you haven't changed your skincare, laundry, or sunbathing routine recently then maybe it's something else. A 2006 study in The European Journal of Dermatology showed a link between gluten sensitivity or celiac disease with issues such as psoriasis and itchy rashes that can form on the elbows, knees, scalp, back and buttocks. There are many causes of joint pain. Injury, overuse, and infection are all common offenders. But if you're experiencing joint or muscle pain and can't pinpoint the cause, it might have to do with gluten. Those with celiac disease and gluten intolerance are thought to have an over-sensitive nervous system. The pain may also be from inflammation caused by exposure to gluten. Are you experiencing any of the symptoms listed above? Having trouble pinpointing the cause? Tired of feeling tired, anxious and having unexplained headaches? There are of course, many different causes for all of these, but they could be linked to your diet. At Annex Naturopathic we can discuss your symptoms with you, and work together to determine if the cause may be related to your diet. And more importantly, we can put together a treatment plan so that you can get on with living your life.